If two A2232 cards are installed in a machine, then the second card uses unit numbers from 9 to 15, the third card uses numbers 16 through to 22 and so on. 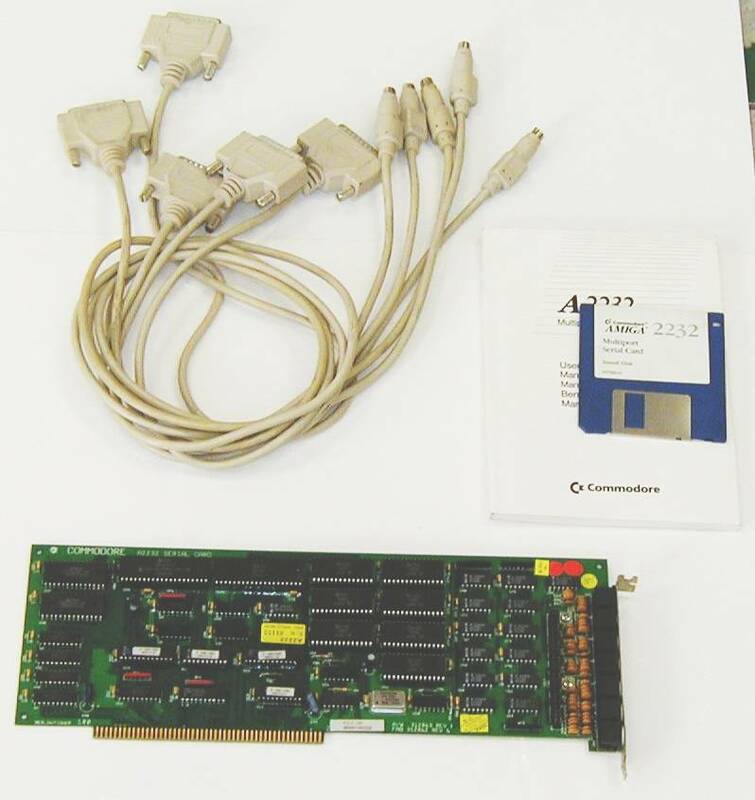 The A2232 card has a set of jumper pins for each serial port. These jumpers allow you to change the pins that the Transmit Data (TxD) and Receive Data (RxD) signals appear on. The card comes with these pins set to transmit the data on DB25 pin 2, and to receive the data on DB25 pin 3. This setting is illustrated below. Though the signal swapping should normally be done in the cable, you can alternatively swap these two signals via the jumpers. To set up a particlar A2232 port to transmit data on DB25 pin 3, and receive the data on DB25 pin 2, the jumpers should be set according to jumper set 1. To change the jumpers from the original setting, locate the four sets of pins that correspond to the selected serial port. From the bottom edge of the card, the first four sets of pins correspond to the first port, the second to the second port, and so on.